Ahh the never ending, always growing wish list is on my mind once again (it always is). Every time I receive my paycheck, I like to think that I can treat myself to a fun item, although that can't always happen. A wish list is just something fun to have and always keeps me thinking that I'm one step closer to purchasing the items I love. Here is my updated wish list! 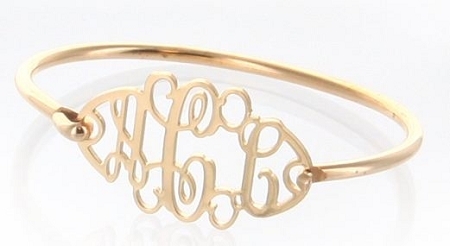 The Cut Out Monogram bracelet in gold from Personalized From Me To You. 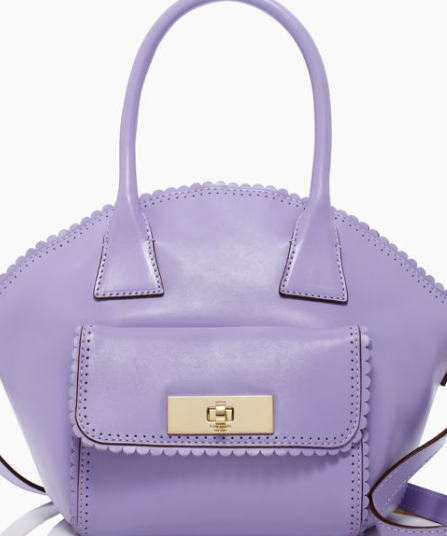 Kate Spade Palm Springs Maggie tote…I just can't resist the scalloped edging. 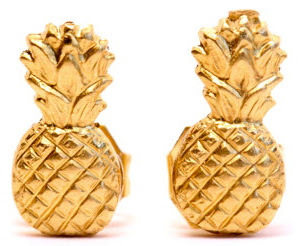 I have a current obsession with pineapples, so these pineapple studs are making their way onto my wish list. 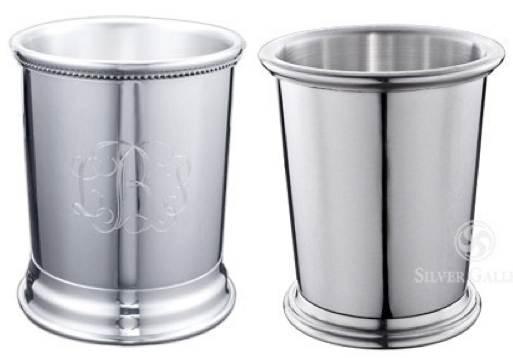 Here is a not so ordinary item on my wish list, but I am wanting to start my own collection of pewter mint julep cups in the state collection. The Louisiana Cup (on left) and the Kentucky Cup (on right) are my favorites. 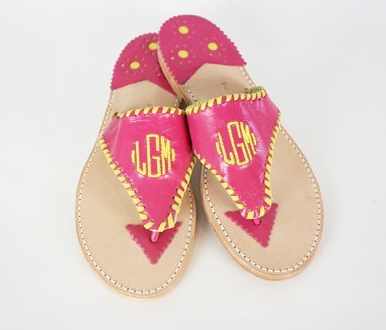 I ams oh-so-badly wanting a pair of monogrammed sandals from Personalized From Me To You. I would choose a navy sandal with my monogram and the piping in beige. The recent items I have added onto my wishlist are mostly Kate Spade! I love the Theater themed collection that just came in! I just got Monogrammed Jack Rogers, Navy with White, they are FABULOUS! the pineapple studs are the best!! Lovely picks!! My wish list right now includes a bow back top, Tory Burch boots and a David Yurman bracelete... swoon! It will take me a very long time to save up, but that is the fun of wish lists, right?! great post! i've been loving kate spade totes!